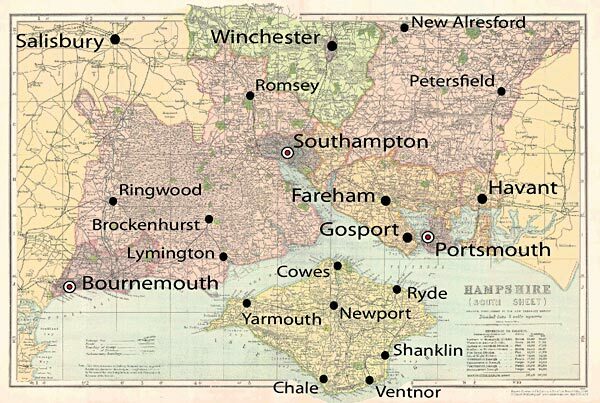 We are based in Southampton and We travel the entire Hampshire area and many surround places. KeyWise technician’s are helpful, friendly and willing to travel to assist its customers in all situations, times and events. If KeyWise is unable to offer a service it is more than willing to give you assistance in finding another Locksmiths in your area. Whether or not you live in a 13 story flat or down a country lane we will get a technician to you as soon as possible, 24/7. For a full list of the main areas KeyWise covers scroll to the bottom of the page. We will go anywhere around these areas to serve you!